on the application of oriental medicine to aromatherapy and author of ‘AROMATHERAPY FOR HEALING THE SPIRIT’. As part of my study year, I was also privileged to work with Rhiannon Harris, a clinical aromatherapist and true leader in this field. 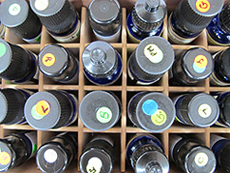 As a graduate of ITHMA I embrace the institute’s dynamic blend of scientific and holistic, eastern and western therapeutic approach to my work as an aromatherapist. I am a member of the International Federation of Professional Aromatherapists (IFPA) which is a large and professional body that requires me to adhere to the codes of conduct and practice as well as continually updating my knowledge and training (CPD).